Veranda Loveseat - Sofa Cover "Small"
Heavy Duty "Veranda" protective covers protects your patio loveseat/sofa or bench from mother nature and harsh weather. These covers will keep your fire pit clean and ready to use. The new Veranda Collection offers high end style and protection at great prices. All of the Veranda protective covers are manufactured and tested adhering to the strictest quality standards to ensure years of satisfaction and continued use. If you plan on leaving your cherished furniture, umbrellas and outdoor accessories out while not in use then a cover is a must. The most important thing to remember when purchasing a Patio Furniture Cover is that it must be water resistant and UV treated so that your cover can withstand harsh winter weather. Performance features include the tough Gardelle Fabric system that protects from rain, snow, sun and dirt and this material will not crack in cold weather. Air Vents reduce inside condensation and wind lofting so you don't lose your cover on those brisk, windy days. 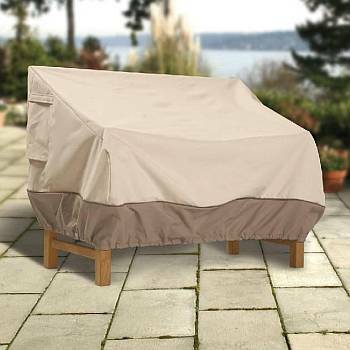 Easy to clean these covers do not stain, soil, soak, or deteriorate. 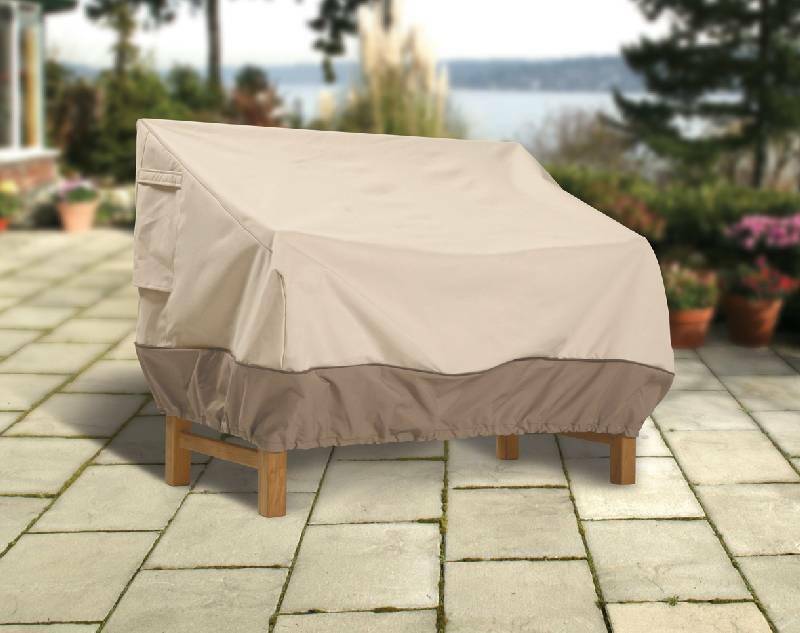 All "Veranda" covers come in an attractive Pebble, Earth and Bark color that will complement and blend into any outdoor decor. These covers are built for extreme weather conditions so no matter what part of the country you live in or what time of year it is you can rest assured your patio furniture and umbrellas will be protected.